Stevens Heckscher, Retired Biologist, has been recognized by Marquis Who’s Who Top Scientists for dedication, achievements, and leadership in biology and theology. From the beginning, Dr. Heckscher’s life has been dominated by the pursuit of two Loves: Religion and Science. He believes neither is complete without the other, yet there must be no confusion caused by the attempt to use the methodology of one to settle questions that arise within the other. The scientific method, and scientific method only, is appropriate for scientific investigation, while the theological method, and that only, is proper to the quest for truth in theology. Understanding that foundational fact has undergirded all of his intellectual pursuits. Now, in his later age, he is in awe of the results that he sees, as each discipline illuminates the deep insights of the other. Dr. Heckscher’s interest in science began in his early childhood, where his imagination was first captivated by the field of meteorology. That nascent interest evolved into a lifelong appreciation and exploration of science. 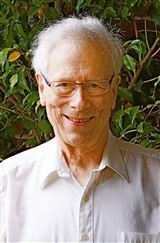 Dr. Heckscher followed his interest in science, and related subjects, at Harvard University, first earning an AB in mathematics in 1952. He continued at the institution to receive an AM in 1954 and then a PhD in 1960. Prior to retirement, Dr. Heckscher served as a naturalist and conservation biologist of the Natural Lands Trust, serving in this capacity from 1980 until 2007. He previously worked as an instructor and then as a professor of mathematics at Swarthmore College, started in 1960 and remaining at the institution for 20 years. One of his earliest career positions was teaching at Rutgers University in the 1959 to 1960 school year. One of Dr. Heckscher’s greatest achievements has been being the scientist who described, and successfully advocated the preservation in perpetuity of, the 110-acre black gum – red maple – sweetbay magnolia virgin swamp forest known as Bear Swamp West, in Cumberland County, southern New Jersey. This pristine tract of land is now owned jointly by Natural Lands of Media, PA, and the State of New Jersey. In addition to this achievement, Dr. Heckscher’s work has been recognized with inclusion as a Fulbright Scholar and fellowship to the National Science Foundation. Furthermore, he was an Alfred P. Sloan Foundation Grantee from 1972 to 1973. In his career, he has contributed to articles and professional journals with written work and photographs. He donated 200 photos to PhytoImages at the University of Southern Illinois and has lectured on cosmology, science and religion in his career.